Del Shores has written, directed and produced film, television and stage. His stage work includes Cheatin’ (1985) Daddy’s Dyin’ (Who’s Got The Will?) (1987), Daughter’s of the Lone Star State (1993), Sordid Lives (1996), Southern Baptist Sissies (2000), The Trials and Tribulations of a Trailer Trash Housewife (2003). Awards and nominations for theatre include Los Angeles Drama Critics’ Circle, Ovation, GLAAD, BackStage Garland, NAACP and LA Weekly (2006 Career Achievement Award). His film work includes “Daddy’s Dyin’... Who’s Got The Will?” Writer/Executive Producer, (MGM), “Sordid Lives” Writer/Director/Producer (Regent Entertainment), “The Wilde Girls” Writer/Director/Executive Producer (Showtime). He has received Best Film Awards for “Sordid Lives”: New York Independent Film & Video Festival, Atlanta Gay & Lesbian International Film Festival, Austin Gay & Lesbian International Film Festival, South Beach Film Festival, Memphis International Film Festival and the San Diego International Film Festival. 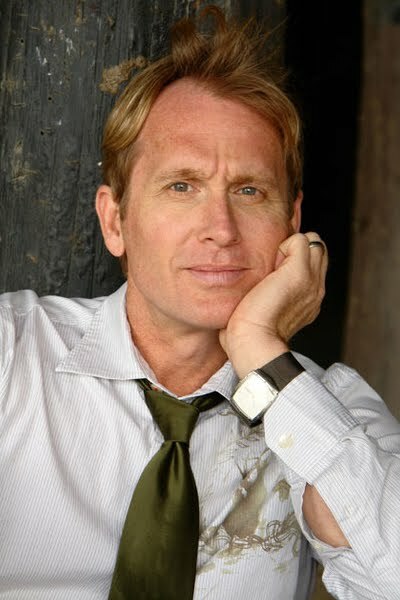 A partial list of his television work includes “Touched By An Angel”, “Ned and Stacey”, “Family Ties”, “Dharma and Greg” and “Queer As Folk.” Shores’ critically acclaimed series “Sordid Lives: The Series” premiered on MTV’S Logo channel July 23, 2008 and has aired in seventeen countries internationally. He wrote, directed and executive produced all twelve episodes. The series stars Olivia Newton-John, Rue McClanahan, Beth Grant, Caroline Rhea, Bonnie Bedelia, Leslie Jordan, Ann Walker and Jason Dottley. In 2009, Shores toured his one-man show “Del Shores’ My Sordid Life” playing thirty-four cities which segued into stand-up performances in many cities, including New York City’s Comix. Shores is legally married to Jason Dottley and is the proud father of Rebecca (20) and Caroline (17). He is represented by Creative Artist Agency and his publisher is Samuel French, Inc.
My mother went to college when I started first grade and majored in drama. She took me to all the college rehearsals and productions and I fell in love. When she graduated she started teaching speech and drama. When I reached junior high, she was my drama coach and into high school. I was the lead in all the plays and wrote my first play when I was in seventh grade, that we performed. It was a horror play called Strange Visit To Uncle Johnny's. I wish I had a copy of it. After high school, having been obsessed with speech, drama, English and journalism, I went to Baylor University. I majored in journalism and Spanish, heavily influenced by my mother, who knew if I majored in drama I wouldn't just want to teach, I would want to be an actor. I acted in a couple of class productions at Baylor, then the night I graduated came to L.A. to pursue acting. My mother was very supportive at this point, gave me the money for my first and last months rent on an apartment, and I immediately started acting. I studied with several coaches out here, but the biggest influences were the late Lilyan Chauvin and Joan Darling, who is my mentor for life. Joan taught me so much about acting that I use in directing. Also, a huge influence was Sherry Landrum, who directed my first two plays, and also studied with Joan. You've made a successful career in theatre, television, and film. How did you transition between them? I've always marched to my own drummer, so it wasn't really that hard. In TV, of course, there is a formula, and you have to write within those guidelines, so that was self-taught by reading scripts and watching episodes. Plays were just organic to me because I had read so many and performed in so many -- and you can really create your own structure. With film, I tried to follow formula, but always ended up just throwing that out the window and writing the story the way it felt right. Maybe I would have had a block buster if I had been more formulaic -- but no regrets. What are the challenges presented by each medium and what do you wish you had known when you started working in each of them? Stage -- it all just felt right immediately. TV -- I was shocked that so many people told you what to do (Notes). I wish I had known and I would have been mentally prepared. Once I did, I accepted that was part of that element and said "thank you" as the money came in. Film -- I wish I had known more about the technical aspect of directing. The "Sordid Lives" film has so little movement in it; it is very very basic and could have been shot better. My strength is directing actors. I adore them and most of them adore me (or at least how I direct). Now, I just insist on a Director of Photography who understands my style. David Sanderson, who DP'ed "Sordid" series was the perfect match and I plan to use him the rest of my life! Having grown up in Texas myself, I really relate to the characters in your plays. Where do you draw your inspiration? Life and real characters. I feel writing is observing. In my one man show Del Shores: My Sordid Life, I always say, "By the end of the evening, you'll find out that I'm not really a writer, I am a thief." Tell me a little bit about your new play, Yellow, which will be opening May 29th at the Coast Playhouse in West Hollywood. I understand this will be more dramatic than your previous works. Both Southern Baptist Sissies and The Trials and Tribulations of a Trailer Trash Housewife were very dramatic, but there was intense comedy in them as well. Yellow certainly has comedy -- I don't know how to write without comedy -- but the story is so dramatic and the comedy lessens as they play progresses. I can't put it better than this part of the press release -- "Everything quickly begins to fall apart when an unexpected tragedy rocks the solid foundation of the Westmoreland family to the breaking point. YELLOW dives head first into the themes of cowardice, intolerance and the damage caused to families by secrets, rejection and the difficulty of forgiveness." You seem to have completely embraced the new social networking tools. I see your updates on Facebook and Twitter all the time, which probably explains the phenomenal ticket sales for Yellow. What's the best part of using these sites to stay in touch with your fans? I was doing The Tony Sweet radio show recently and Mo'nique was one of the guests as well. She said something that really applies to my connection to my fans. They are my employers. They are the reason I have this career. My husband Jason is a master of the internet for marketing. I answer all my fans, have hired someone to post about our merchandise, etc -- but it is me who writes all the fans back. I feel that is my job and I love the connection. And yes, I do believe the connection sells tickets -- and gets the word out about projects. Finally, do you have any advice for students who are planning a career writing for theatre, film or television? I have no formal training in writing for these mediums. I am a storyteller. If you can tell a story, decide on the medium in which you want to tell that story, and study that medium. Then find a way for your work to be seen. There are so many more tools now than when I started. The internet has given great opportunity for upcoming artists. To find out more about Del and his work, visit his website, the Yellow website, or his Facebook fan page. The Independent Theater Bloggers Association has announced their nominations for the 2nd Annual ITBA Awards. Winners will be announced May 20th. Avenue Q responds to the Muppets' version of Queen's Bohemian Rhapsody. Hat tip to Kevin at Theatre Aficionado at Large.